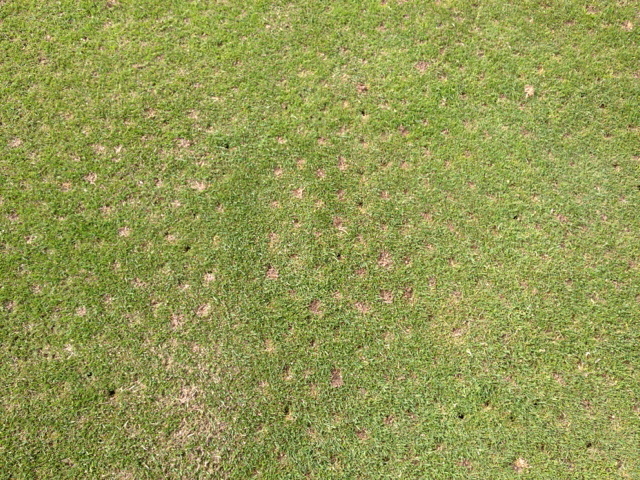 Pinery Country Club Golf Course Maintenance: Holes!! Tee aerification is finished! If you were wondering we punch the tees with a quad tine setup with a 1/2 inch core tine five inches long. With this tine we punch 70 holes per sq ft or just over 9.5 million holes on three acres of tees. Wow that's a lot of holes!